Happy birthday to my lovely (but lazy!) Hubby! Morning sketchers! 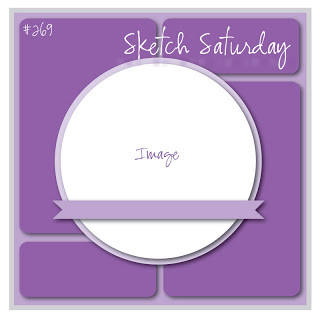 As always we have a fab sketch for you this week over at Sketch Saturday. I love the background on this one, something a little different! I've used this awesome image by Mo's Digital Pencil for this week's card as it sums my husband up so perfectly. it's called King for a Day, although Ben thinks (and acts) like he's king everyday, but given that it's his birthday I'll actually permit the laziness this once i.e. no nagging to get up or to switch the telly off! Hopefully he'll appreciate all my efforts for him, not long ago I had a speech about how they are only cards that go in the bin and that he wouldn't care if I made or bought him one - oh why do I bother!! So anyway, moan over, and this week's sketch is sponsored by Stamp Fairy who have absolutely gorgeous digis in their shop and they are offering a prize so just make a card to the sketch and enter it on the Sketch Saturday blog to be in with a chance of winning! Another birthday card for Daddy! No Thanks to Ice Cream...?